Markit Health of New Hampshire has developed a unique, multi-tiered approach to nutritional supplementation. They now offer consumers a superior method to achieve their wellness goals with a “personalized approach” using just a small amount of reasonably priced, highly effective products. The new program uses three or more products to create The Comprehensive Vitality Packages, which has many consumers maximizing their wellness by using this multi-tiered system. The supplements in these packages work on a cellular level: firstly, by enhancing the cells ability to maximize energy production, secondly, by feeding the cells with full spectrum food-based nutrients and thirdly, by adding a condition-specific supplement that helps each individual with their particular wellness issues. Markit Health has revolutionized the supplement industry by reducing the confusion created by an abundance of complex information. The company fully understands the many difficulties people encounter when selecting nutritional supplements and how to take them. With millions of sources available for self-diagnosis and treatment, as well as data on ingredients and formulations, it is difficult to sort the truth from disinformation. 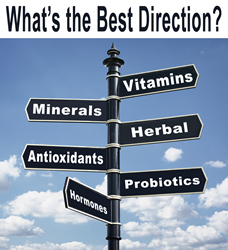 Many individuals find it almost impossible to make a decision without the assistance of a professional nutritionist, dietitian or integrative medical practitioner. Even with help from these professionals, the final decision of purchasing comes down the individual. Personalized Wellness: Guidance for What, When and How to take nutritional supplements. Verified Formulations: Reputable third-party websites and health care professionals have heavily vetted Markit Health’s research, formulations and efficacy. Unique “Synergistic” Results: The core of each package delivers large amounts of natural nutrients to the cells while enhancing the cells mitochondrial uptake. Quality: Uses superior ingredients with proof of purity. Value: Monthly subscription programs. Heavily discounted: $40.00 to $50.00 Off Retail Prices. Convenience: Easy to use website with straightforward language. Easy to follow protocols. World-class customer service. The New Hampshire company has just launched a new website located at: http://www.MarkitHealth.com/vp The website is very easy to navigate, letting customers quickly find their chosen package and gives them the option to have those packages delivered each month via subscription. The website is full of useful information that will explain which supplements to take and when to take them. Current customers continually report to Markit Health how quickly the Comprehensive Vitality Package philosophy has saved them money while covering most of their nutritional needs with very few products. ABOUT THE COMPANY: Markit Health has been researching supplementation for more than a decade by conducting comprehensive analyses of superior nutritional supplementation that helps create wellness. Thousands of hours of research and hundreds of interviews with doctors, scientists and consumers have prompted the company to offer exclusive Comprehensive Vitality Packages for individuals to help with issues such as: Blood Sugar, Weight Loss, Digestion, Cellular Health, Anti-aging, Muscle, Bone and Joint -&- More. You may contact Markit Health by eMail or phone at: http://www.MarkitHealth.com/vp with questions, comments or interview requests.